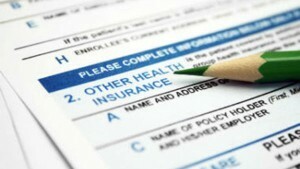 Counseling Private Practice Marketing Tip # 3 Verify Client Insurance Benefits: Self-Protection, Enabling or Marketing? Verify Client Insurance Benefits: Self-Protection, Enabling or Marketing? Wait! Why is this Marketing tip #3? Where is Marketing tip #1 and #2? I have seen much debate from e-mails and listservs on whether assisting clients with their insurance coverage is making sure the mental health provider gets paid or enables clients to not take responsibility. I think it helps the mental health provider get paid, helps the client get help, and it’s a great Marketing Opportunity! Many clients don’t understand their benefits (especially now with high deductibles). At times they are so upset when they make that first appointment that they don’t understand what their benefits are, and I the mental health provider deserve to get paid. “Help is only a click or phone call away. While starting counseling is a major step, it is a sign of strength, not weakness. Today, more individuals, couples and families are entering counseling, not only to treat illnesses but improve their quality of life. When you contact Dasenbrook & Johnson, We will “walk “you through the entire process of setting up an initial evaluation, helping you with your insurance coverage, getting the appropriate authorizations, referrals, determining your co-pay and billing your insurance company. The cost of therapy is always an important consideration. Usually, the client need only pay their co-payment at the time of service. We are preferred providers for most insurance and managed care companies. So if you had a choice between a mental health provider who would help you with determining your benefits or one who told you, in a time of crisis, you are on your own, who would you see? That’s common sense not enabling. Verifying benefits is so much easier today with availity.com that it just makes sense to do so. This separates my practice from the competition and adds value to my services.